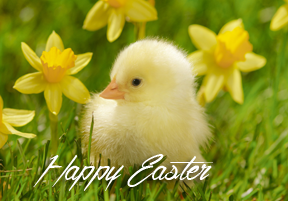 Happy Easter from New Braunfels Feed & Supply! We are closed Sunday, April 21st, 2019 in observance of the Easter holiday. We wish everyone a blessed Easter. The store opens Monday, April 22, 2019, with regular store hours. This entry was posted on Tuesday, March 19th, 2019 at 12:12 am	and is filed under Events, News & Updates. You can follow any responses to this entry through the RSS 2.0 feed. Both comments and pings are currently closed.